If you are looking for something different to add to your holiday table, I’ve got a great little side dish for you to try, Pineapple Pretzel Salad. It is part fruit salad, but with cream cheese, vanilla pudding, and butter it’s more like a delicious dessert! Several years ago, I was at a church pot luck dinner, and I found myself spooning a white fluffy mixture onto my plate. I was unsure of its contents, but once my tongue met the spoon, I fell in love. It was delicious, but I still wasn’t quite sure what was inside! The salad was a unique mixture of crunchy, salty, and sweet. After asking around, I found the person responsible for this creation and got the recipe immediately. And now I am sharing the recipe for Pineapple Pretzel Salad with you. Though I could easily pick out the pretzel, I could not identify the pineapple at first. Obviously with ingredients like cream cheese and vanilla pudding, this isn’t a healthy ‘salad’, but the mixture of ingredients tossed together does make one delicious dish. This pineapple pretzel salad recipe is great for big group gatherings, holiday pot luck, or family dinner. I just sprinkle the pretzels into the dish as I eat, otherwise you might get some soggy pretzels, and that’s just no good. Mix and press into bottom of a casserole dish or foil lined coolie sheet with edges. Bake at 450 deg. for 5 min. Cool, then break into small pieces. Cream sugar and cream cheese together. Make pudding with milk and pudding powder. Fold in pineapple, pudding, and cool whip. Just before serving, mix in pretzel mixture. Real Butter and Real Cream cheese. YUM! Are you familiar with the REAL Seal? I’m sure most of you have seen the label before, but you might be unsure of what it means. Well, I’m going to tell you! 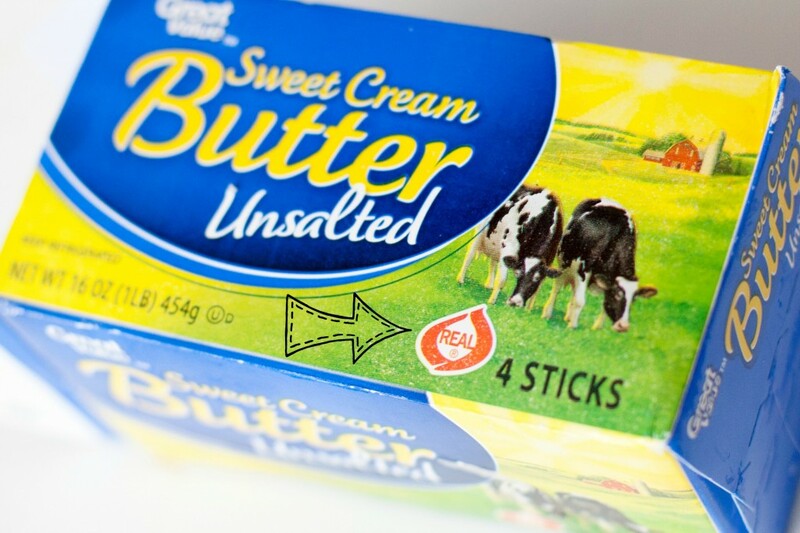 The REAL Seal was created by America’s Dairy Farmers over 30 years ago to differentiate their produce from imitations. The Seal is the only assurance you are buying the wholesome goodness of U.S. produced cow’s milk. Protein builds and repairs tissue. Do you get enough dairy? 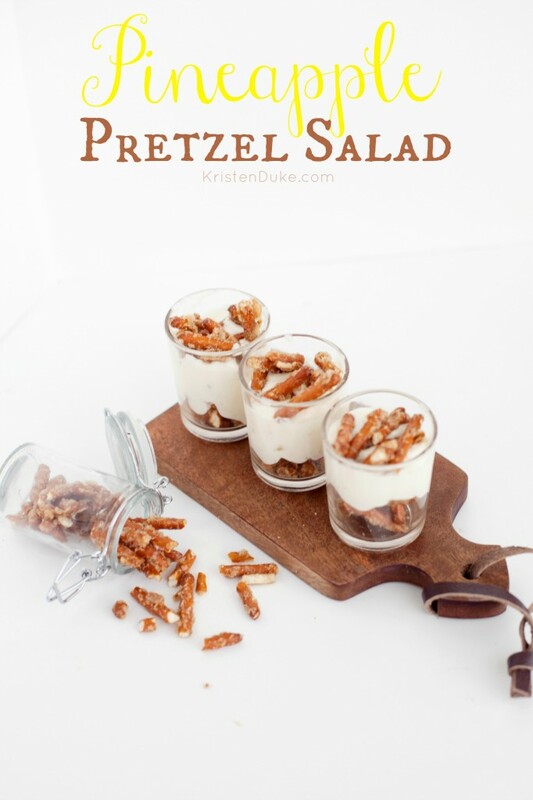 I LOVE dairy, and if I could eat this pretzel salad regularly, I’d be good with all the cream cheese and butter in it! When I feel like I haven’t gotten enough dairy in my diet, I turn to a nice slice of cheese. it is delicious and a good source of protein! I would really like to include milk at dinner each night, but I’d just have to buy a gallon nearly every day. Do you do that? Milk at dinner? Tell me your tips for getting a good daily supply of dairy in your diet! I’m sharing this post today, sponsored by REAL Seal, but all opinions are 100% my own.